It’s not easy to do a bright yellow kit and come out of it with much visual respect, but hats off to Adidas for making a pretty decent fist of it here. To break up the yellow on the front of the jersey, we really like the way the Hurricanes logo has been sublimated into the jersey it adds a welcome bit of dynamism and works really well with the blue contrasts on the collar and sleeves. The away shirt, is, if anything, even nicer. 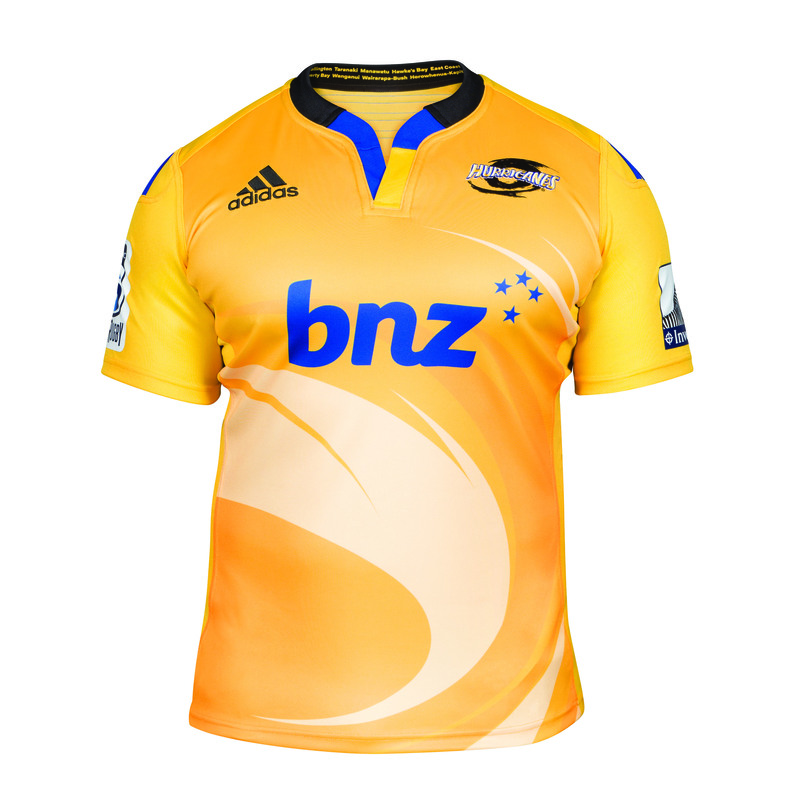 It ditches last year’s unfortunate dabble with white for a shirt that tips its hat quite nicely to the Wellington RFU shirt, with the yellow accents and blue stripes working really well with the black-into-grey design on the front. 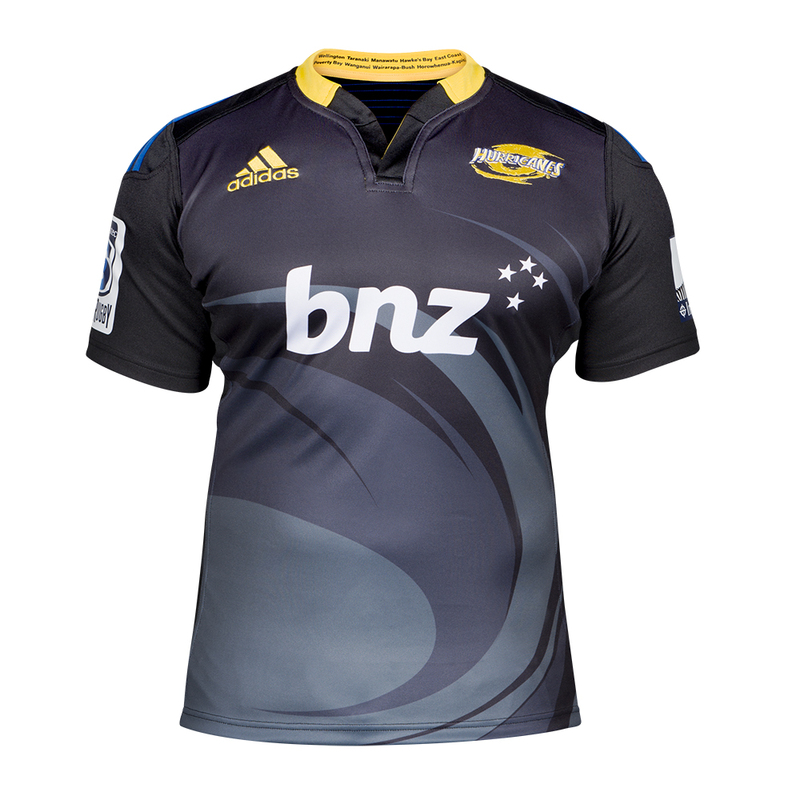 On both shirts we also love the way that the NPC teams that contribute players to the Hurricanes are printed around the inside of the collar – it’s a subtle little touch, but the sort of thing we love designers thinking about. Both of these shirts hit the sweet spot between subtle and bold, maintaining a strong, unique visual identity without stepping too far into the realm of love-it-or-loathe-it envelope pushing. It works.